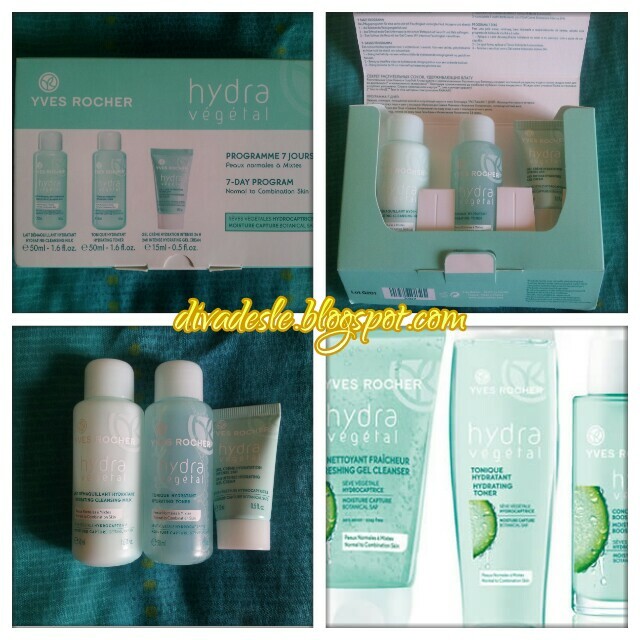 I received this lovely Hydra Vegetal 7 day travel pack by Yves Rocher. It consists of three mini products which are the Hydrating Cleansing Milk, Hydrating Toner and Intense Hydrating Gel Cream. These products are specifically formulated for dry and sensitive skin to replenish moisture and keep skins hydrated throughout the day. This product smells great as well and does not burn the skin or leave it red like other toners. This was my least favourite product from the range because it made my skin feel taut. Most toners do that to my skin so I wasn't too perturbed about it. It does a great job in cleansing the face thoroughly. I expected this cream to be really thick like the cleansing milk but it is actually light in texture. The gel consistency melts wonderfully into my skin. It felt moisturised throughout the day. Again, the smell as my heart. I love the clean, refreshing cucumber scent. The secret to this cream is the moisture capture botanical saps from the Maple trees and Blue Grave plants. It locks in moisture and keeps the skin hydrated. After 7 days of using these products my skin felt amazing. This is an affordable skincare regime that is gentle enough for any skin type. If you ever need a little extra moisture don't forget to try this great product. I havent tried this range before, grab review, it sounds so nourishing for skin. Hope your week is going well sweety! Thank you, love;-) I am doing well.